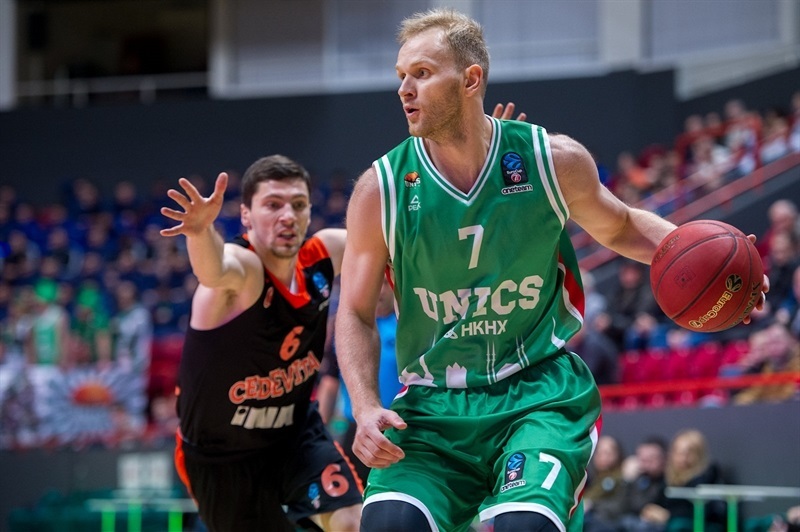 UNICS Kazan used a great defensive performance to beat Cedevita Zagreb 78-61 on Wednesday. The home team limited the visitors to 9 points in both the first and fourth quarters to improve to 6-3 and the brink of clinching second place in Group A. 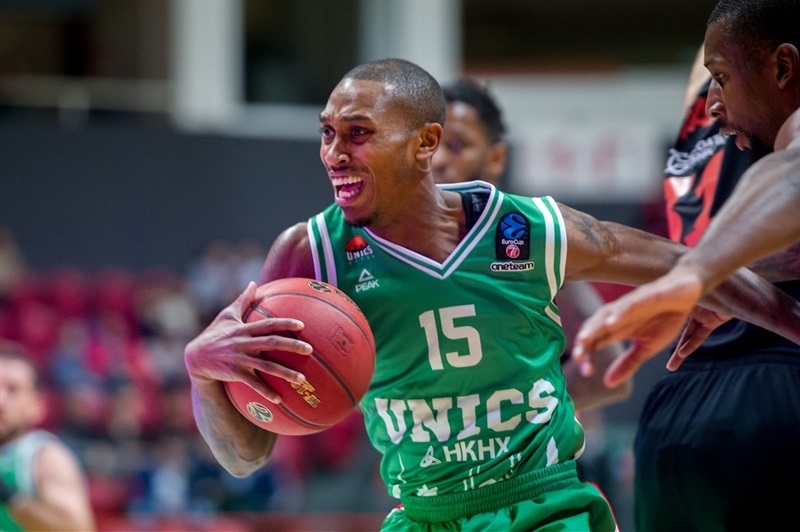 In fact, if Darussafaka Istanbul defeats FIAT Turin later Wednesday, second place will formally be in UNICS’s hands. Cedevita, which is also headed to the Top 16, fell to 4-5. 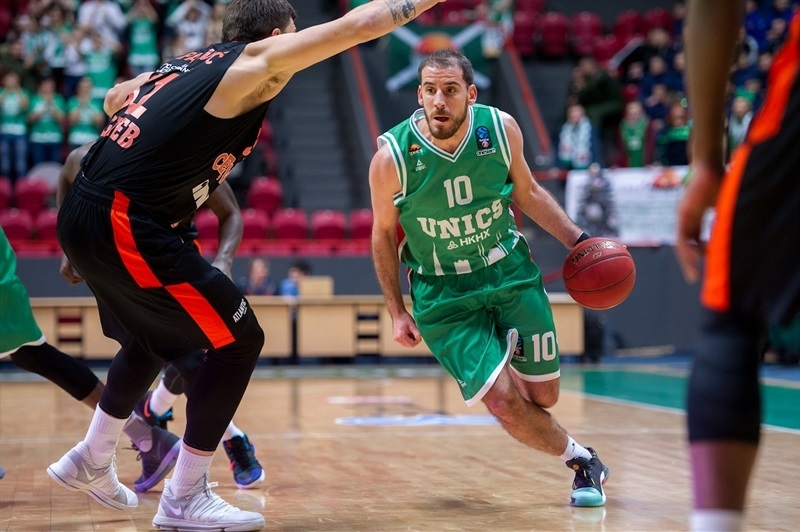 It was a game of runs with UNICS using an 18-0 march to lead 22-9 after 10 minutes. Cedevita scored the last 10 points of the second quarter to get within 36-32 at the break and continued fighting until Karlo Zganec evened the score at 52-52 late in the third quarter. 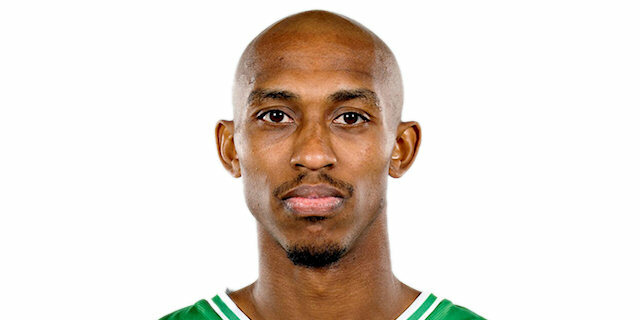 But UNICS replied with a 19-2 run bridging the third and fourth quarters and never looked back. 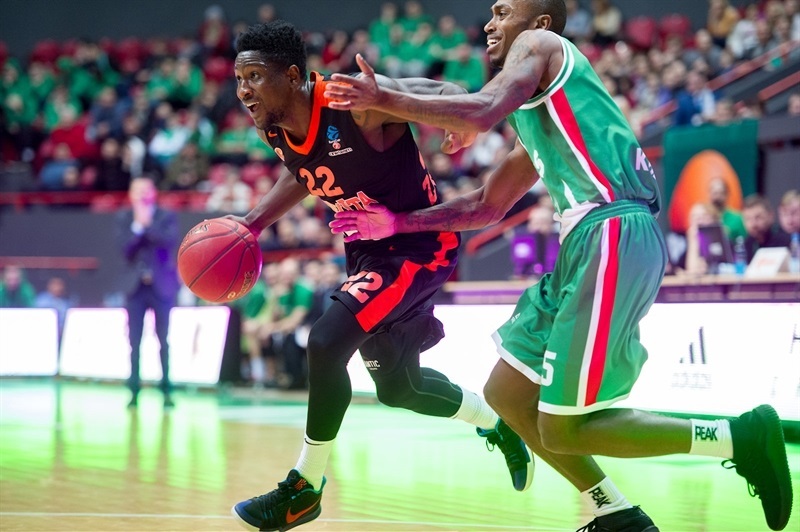 Stephane Lasme shined for the winners with 18 points, 9 rebounds and 4 blocks; Quino Colom tallied 16 points and 6 assists; Vladimir Trushkin added 12 points, Jamar Smith had 11 and Anton Ponkrashov dished 9 assists. 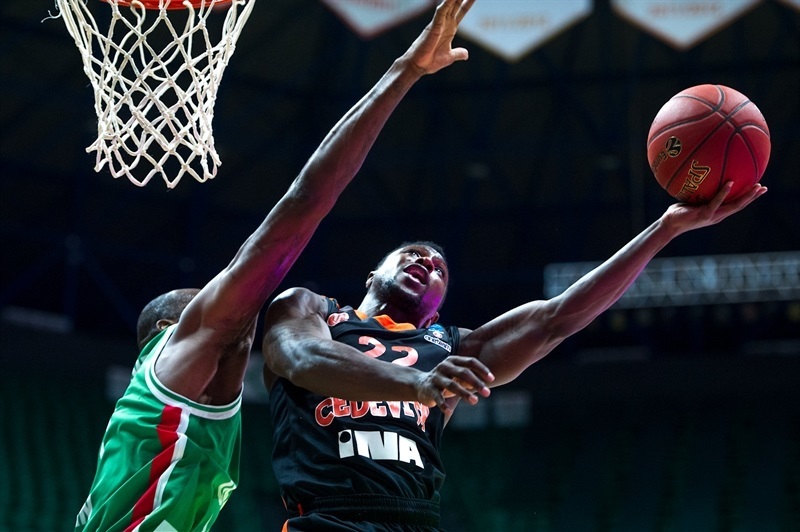 Zganec paced Cedevita with 14 points, Dzanan Musa scored 13 and Will Cherry 12. 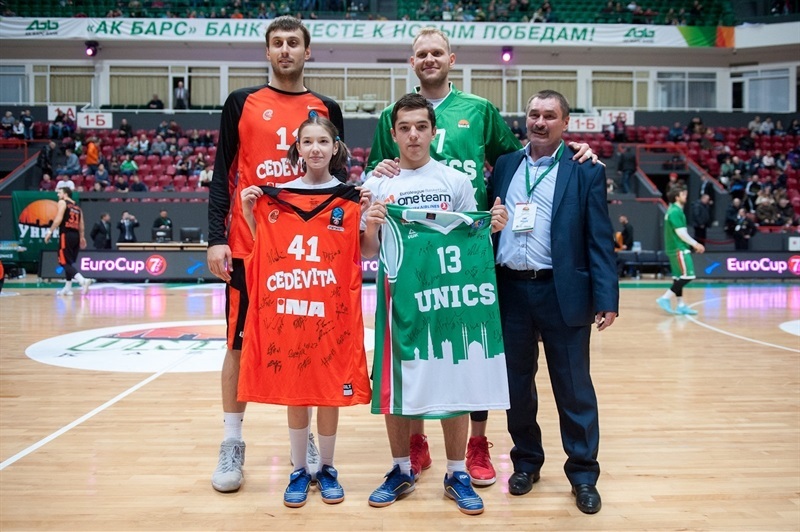 Each team missed its first two shots before Demetris Nichols broke the ice for Cedevita with a layup and Colom opened the UNICS account with a triple. 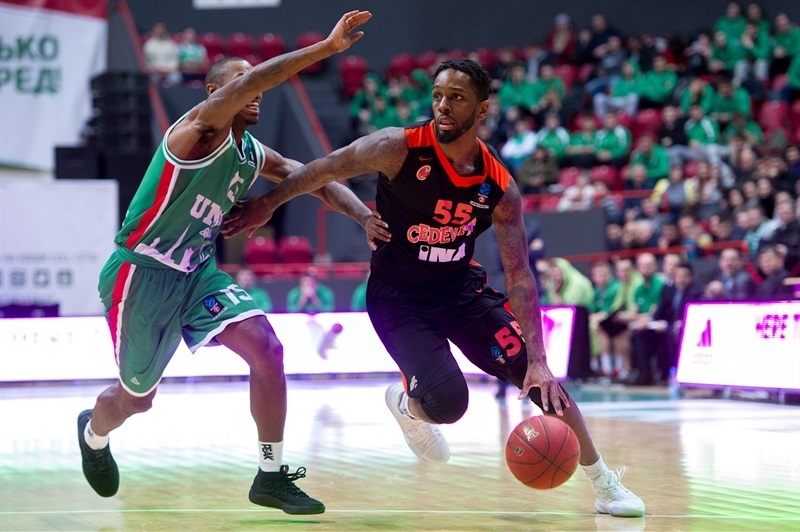 Cedevita jumped to a 4-9 advantage through Kevin Murphy’s three-pointer and a Cherry jumper. The hosts regrouped and soared ahead with 18 unanswered points to end the first quarter: UNICS tied it on a Smith triple and move ahead on a Lasme slam. Maurice Ndour provided a highlight with an alley-oop slam and Smith’s steal led to a Trushkin layup and a double-digit lead. Danilo Andusic free throws ended the first quarter with UNICS in charge 22-9. Chris Johnson ended the Cedevita drought with a dunk to start the second quarter, but before long Ponkrashov scored twice to push the lead up to 16. Back-to-back threes by Nichols and Musa revived Cedevita’s hopes and 5 free throws by Zganec later in the quarters closed the gap to 9. Musa dropped in a floater and Filip Kruslin beat the halftime buzzer with a triple that capped a 0-10 run and made it 36-32 at the break. UNICS regained the momentum with a dunk-plus-foul by Lasme and a Smith layup on the break to open the second half. Kruslin drew Cedevita back within 4 and the Croatian champs refused to go away. Musa scored after a Nichols’s steal to get the visitors within 46-44. Lasme kept UNICS ahead, but Cedevita did not relent and a three by Musa made it a 1-point game. 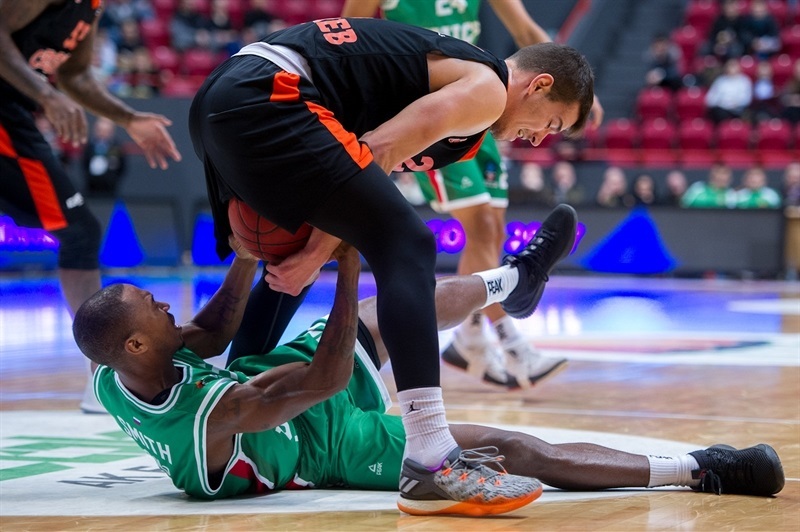 Zganec tied it at 52-52 from the free throw line, but Trushkin’s baseline jumper and a three-pointer by Trent Lockett put UNICS ahead 57-52 through three quarters. Trushkin connected from downtown and Colom added a long jumper to stretch the margin to 64-54 three minutes into the fourth quarter. Ndour and Colom teamed up to put the game out of reach by completing a 14-2 start to the quarter – 19-2 including the last two baskets of the third – as the hosts cruised to victory. "I think we played good defense inside and out, mostly in the second half, as long as we stopped them in transition where they had many primary points because of our bad decisions offensively. And also, we should control their three-point shots. It was a good win. We proceed." 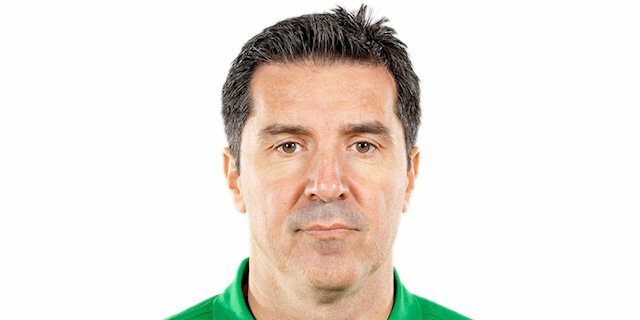 "Congratulations to coach Priftis and UNICS Kazan. They played better, they were stronger, but we came back two times. We didn’t have enough power, other players to play well. We tried to rest with some players but immediately went down. We have a tough schedule, we have many, many games and we are tired. But who cares. 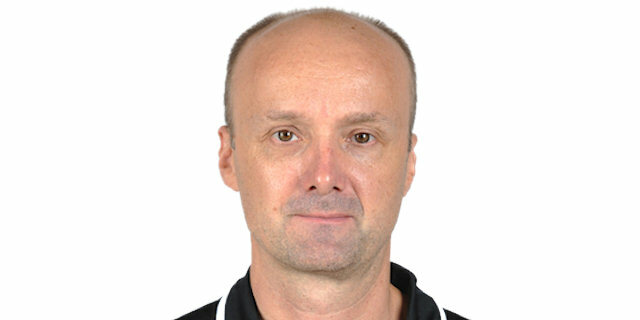 We played with Kazan, which is a physically strong team. If you won’t put extra energy, you have big problems. And we had it, but back two times. But three times we can’t back against Kazan." "We wanted to win for sure, because they beat us before. Everybody was motivated to win this game. They came back twice and it's something that has happened to us before this season. We have to deal with that and learn how to finalize games."